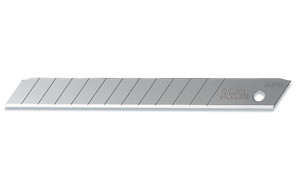 OLFA Blades AB-50S Model 9282 9mm are stainless steel snap-off blades for use in moist environments (wallpapering, window films, etc.) where rust is concerned. 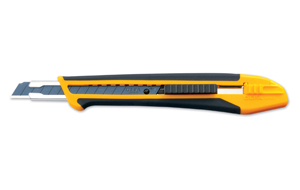 13 cutting edges per blade strip, 650 edges per 50 pack. 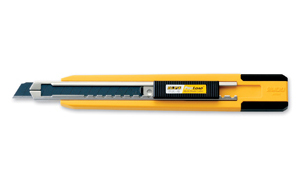 Designed for superior sharpness and blade edge retention. For cutters that will accept an AB blade. 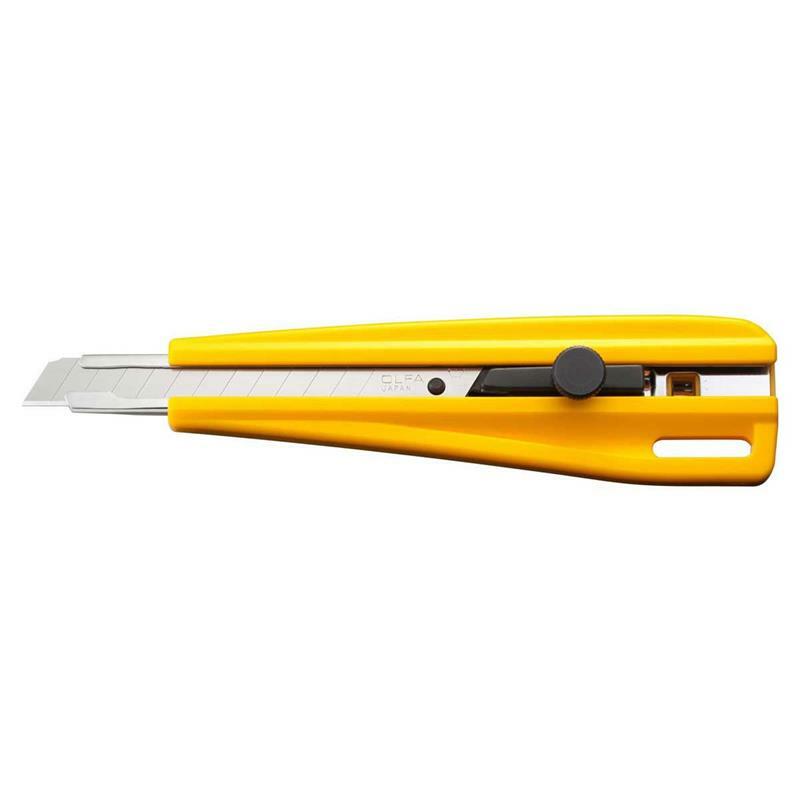 OLFA Cutter Standard Duty 180 Model 5001 9mm Is A Value-priced Cutter And Is Perfect For General Home Or Office Use For Light Duty Cutting Jobs. CLICK ON IMAGE AND SCROLL DOWN TO RELATED PRODUCTS FOR A LIST OF REPLACEMENT BLADES. 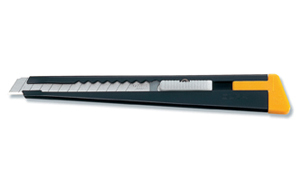 OLFA Cutter Standard Duty 300 Model 9001 9mm Provides More Leverage For Tougher Cutting Projects. CLICK ON IMAGE AND SCROLL DOWN TO RELATED PRODUCTS FOR A LIST OF REPLACEMENT BLADES. OLFA Cutter HandSaver Cushion Grip NA-1 Model 5022 9mm Is Designed For Maximum Control And Comfort While You Cut. CLICK ON IMAGE AND SCROLL DOWN TO RELATED PRODUCTS FOR A LIST OF REPLACEMENT BLADES. 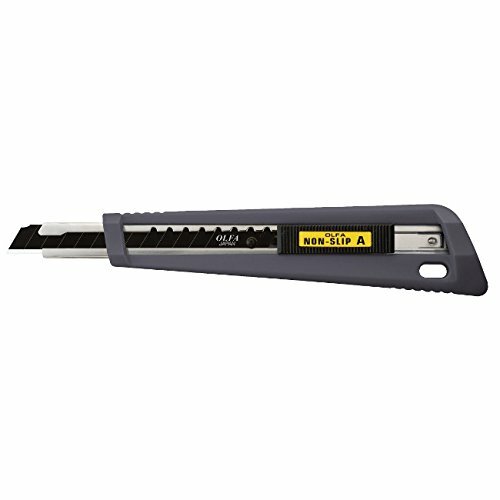 OLFA Cutter Pro-Load Multi Blade Expert Series PA-2 Model 1064416 9mm Can Hold Up To 5 Blades At A Time, Giving You 65 New Cutting Segments Per Load. CLICK ON IMAGE AND SCROLL DOWN TO RELATED PRODUCTS FOR A LIST OF REPLACEMENT BLADES. OLFA Cutter Deluxe Stainless Steel SVR-1 Model 5018 9mm Is Also Known As The "Olfa Silver", Is An All Stainless Steel Model. CLICK ON IMAGE AND SCROLL DOWN TO RELATED PRODUCTS FOR A LIST OF REPLACEMENT BLADES. 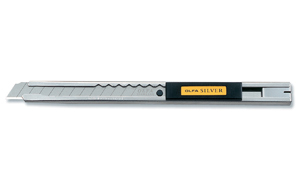 OLFA Knife Auto-Lock Stainless Steel Professional SVR-2 Model 5019 9mm Is Designed With An Auto-locking Blade Slide And Stainless Steel Handle. CLICK ON IMAGE AND SCROLL DOWN TO RELATED PRODUCTS FOR A LIST OF REPLACEMENT BLADES. 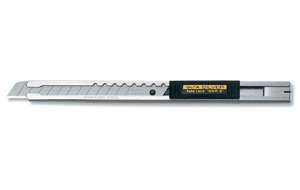 OLFA Knife Standard Duty XA-1 Model 1075449 9mm Has An Automatic Blade Lock And Cushion Grip. CLICK ON IMAGE AND SCROLL DOWN TO RELATED PRODUCTS FOR A LIST OF REPLACEMENT BLADES.